Finding a way to increase your earnings is one of the key steps to reaching financial freedom. Most of us don’t have time for a second job though, let alone look for opportunities to get paid. These passive income apps will help you land the perfect hustle. Passive income always sounds a little pyramid-schemey. In reality, every billionaire in the world has sources of passive income (and they usually have more than one). Of course, you’re probably not able to make Warren Buffett-sized investments quite yet. That’s where these passive income apps come into play. Everyday people can get started making passive income with these apps immediately and begin changing their financial future for the better. But how much can you really earn from an app? Ibotta and Ebates are both passive income apps that help you get paid while you shop. While this isn’t a traditional passive income source, it is a great way to rack up some extra cash without lifting a finger. Both apps allow you to earn cash back every time you shop. If you sign up for both, you can earn double the rewards. For Ebates users, you will need to go through the website to learn about cashback deals. Find the store you want to shop, buy what you want, and then receive your money via PayPal or check. Ibotta, on the other hand, will pay you for just about everything you buy. From eggs to clothing to furniture, Ibotta wants to help you earn cash back. To earn money with the app, you will need to add offers to your account and then go shopping. When you get home, snap a photo of your receipt and you’ll get your cash back rewards. Cash is usually deposited into your Ibotta account within 48 hours. The amount of money you’ll be able to make with either of these apps will vary. If you are able to cash in on some of the triple cash back rewards or pick out the best offers, you can earn more. Airbnb is a great passive income app if you have a rental property or space that typically remains empty. You can download the app on iPhone or Android devices (or visit their website) and apply to be an Airbnb host. The amount of money you’ll be able to make with this passive income source will vary depending on your location and how much you charge. If your area is a popular tourist area or somewhere large events take place, you may be able to charge more than Airbnb locations in the middle of nowhere. Scout the Airbnb spots near you to see what people are charging. Investing is one of the most popular forms of passive income. Unless you are day trading, investments are usually a “set it and forget it” way to make extra money. Many people use their investments to prepare for retirement and establish financial freedom. Acorns and Stockpile make is easy for everyone to get started in the market. Acorns allows you to invest your spare change. When you swipe a linked credit or debit card, Acorns rounds up to the nearest dollar and invests the change for you. You can also create a recurring deposit for your Acorns account as well and manage your risk portfolio from the app. Stockpile is another company looking to get more people investing in the stock market. When you sign up, Stockpile gives you $5 in free stock in a large company (like Apple). You can manage your portfolio, set up recurring deposits, and monitor your investments through the app and website. Of course, there is no guarantee when it comes to investing your money. You could earn a moderate amount of money, but you also have the possibility of losing cash as well. Cross Media Panel pays you for your browsing data. The company likes to analyze what sites you visit, how often you visit them, and what actions are taken on the site. You will need to have access to Google Chrome on your device (computer, phone, or tablet). You get $2 when you register your first device and a weekly payment of $1 per device (maximum of three). That means simply by registering three devices, you will earn $12 per month or $144 per year. Users are able to cash out once their account balance has reached $5. Payment is made in the form of an electronic gift card (your choice). Most users receive the gift card within 48 hours of submitting the cash out request. ShopTracker is another great passive income app that can help you earn an additional $36 per year. The company wants to track your Amazon purchases and record the data they receive. As soon as you sign up and link your Amazon account, you’ll earn your first $3. You’ll need about 10 spare minutes to set up your account. ShopTracker has users complete a short survey before linking your account. After that, the app does that rest! For every additional month that you keep your account linked to ShopTracker, you’ll earn another $3. Payment is available in the form of a Visa gift card. You can cash out at any time. There are a plethora of passive income ideas to be had. People are earning passive income through online shops, ebooks, blogs, rental properties, and other investments. Finding the right source of additional income can be hard though. Here are a few questions to ask yourself. How much are you willing to invest in making money? Most of the aforementioned apps are fairly hands-off passive income opportunities that require very little time or startup cash (if any). However, some income sources require a bit more involvement. An online store, for instance, will need to be updated and maintained. It may also require a certain amount of initial investment of time and money. What are your desired earnings? If you are looking to make a killing in passive income, you’ll likely need to put a bit of time (and maybe an initial cash investment) into your income source. For instance, some bloggers have been able to retire early on income they’ve made from their blogs. Before that success, many of them poured a lot of blood, sweat, and tears into those blogs. So, seriously think about what your goals are for your earnings with passive income. Will you need your passive income immediately? Passive income is not typically a “get $500 fast” way of making money – not unless you’re making some amazing investments. 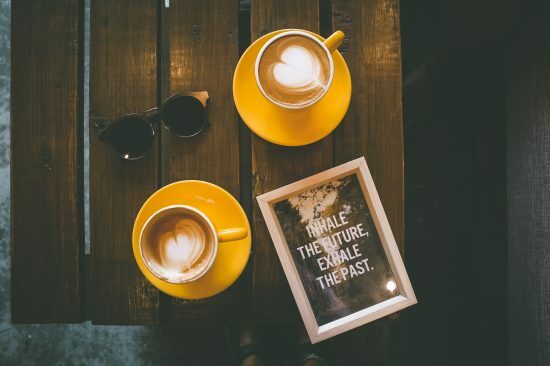 So, if you’ll need the money from your passive income source immediately, you may want to consider a side hustle instead of something that will take a while to build up. Read this post about 10 side hustles to get a few ideas. Deciding to earn more to better your financial future is a no-brainer. 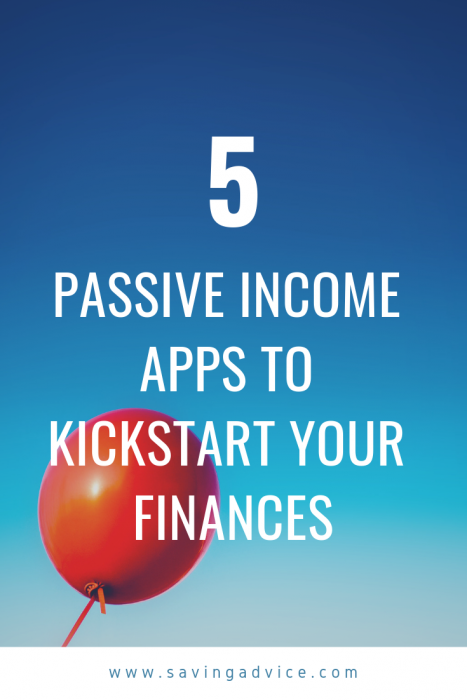 Consider the apps above if you’re looking for a quick way to get your passive income flowing. Once you get started, you’ll be continuously looking for ways to make even more. Readers, how do you earn passive income? Have you used any of the apps mentioned above?